GOSH you don’t want to be taking a drink while read some (alot) of these pages. Ms. Cheever has a way with words and ideas sometimes we say we would like to be a fly on the wall in certain situations and you are definitely that. This is a clean and hilariously funny story between lagh out loud snorting tea and trying to figure how the story is going to go this is an ABSOLUTE must for your library. What a fantastic treat! 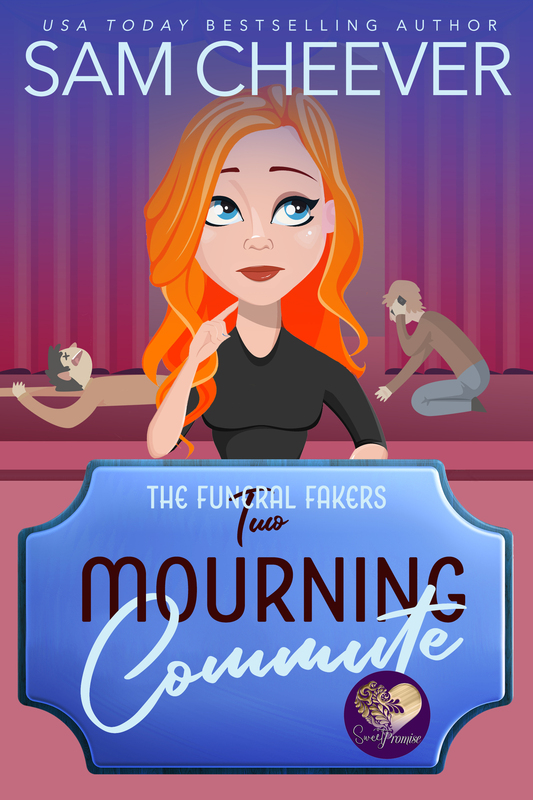 The wonderfully bizarre premise of working as a professional mourner serves as a springboard for a mystery full of twists and turns and a new partnership that I hope gets to solve more cases. Sam Cheever has a talent for creating fun, likable characters who might not always know exactly what to do but always muddle through somehow. And usually with a wisecrack or two. I LOVE Sam's books. I haven't read one I didn't thoroughly enjoy. This book was no exception. I absolutely loved it. The characters had me drawn in from the beginning. I so enjoyed May's job, professional mourner, and her spunky quick mind. To compliment her, we get to meet Eddie. I so want to see more of these two together. The mystery had me guessing until close to the end. It was so well written. I finished it in just a few hours. Read this book. You will not be disappointed!